OUT OF STOCK UNTIL MAY 2019. 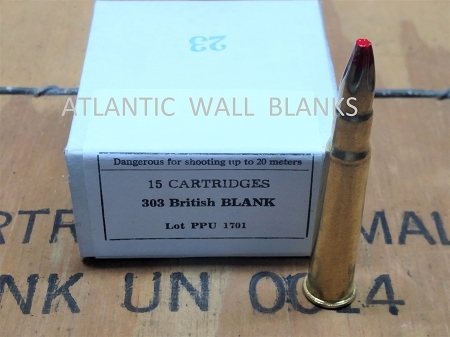 Extended length 303 British blanks for perfect feeding in all models of the Enfield rifle, Lewis gun and BREN. Best in Bolt actions or Lewis Guns. This is our number one selling Enfield rifle blank due to positive feeding. .116 recommended BFA on Semi-auto BREN's.